The owner goes out of her way to make the your feel welcome and special. A personal touch that makes the experience homely, friendly and welcoming. 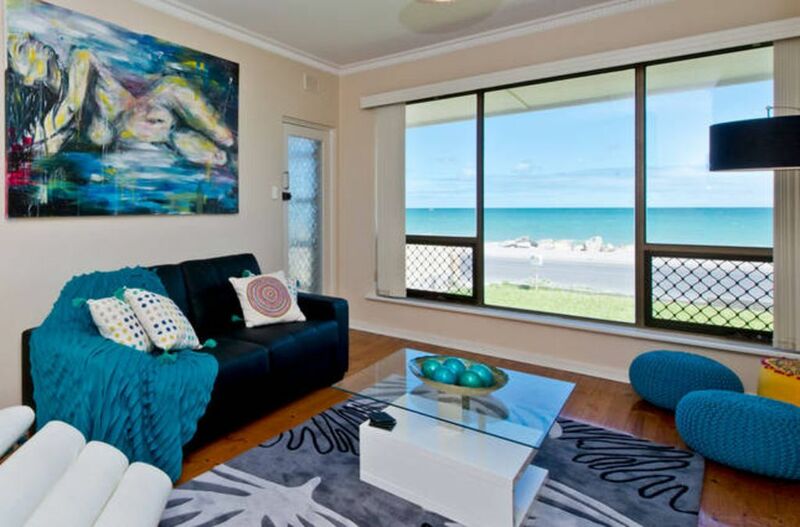 Right across from the beautiful ocean, but still very close to the hustle and bustle of Glenelg. I would recommend this to anybody for a restful holiday, or even looking for a furnished apartment for a week or two before finding something more permanent. We really cant speak highly enough of this property and of its owners service to ensure our 2 week stay was a pleasant one. it exceeded all of our expectations from the quality of the furnishings to the appliances. Everything was as described and then some. The area, Glenelg North, is quiet and the beaches not crowded like at neighboring Glenelg. To walk to the Glenelg shopping district and beach area is only a pleasant 10-15 minute walk where if your lucky like we were, you will see the Dolphins in the Marina as you walk across the lock. We will be returning. I highly recommend this property for anyone looking for a relaxing beachside experience close to Glenelg. Great position opposite the beach and easy walk to restaurants and shopping area. Unit very clean and tidy with many complimentary food items, chilled wine on arrival and special treats for my grandaughter was very welcoming. Management very easy to liase with when needed and we had a lovely stay. Beautiful place by the sea. Sofie was great making our stay comfortable at this lovely place Sea at the Door. The views are amazing and it’s so relaxing stay here. The decor at Sea at the door is your home away from home. I’ll be back one day to this great place at Glenelg.